The Beach Boys legend will perform at London's Eventim Apollo on August 1 and Sheffield City Hall on August 3 to mark five decades since the release of the iconic surf group's 11th studio LP, which was released in May 1966. It follows the announcement that he is to perform at Kendall Calling festival and Camp Bestival this summer. The 74-year-old musician said: "I'm really happy to be able to come back to the UK and perform 'Pet Sounds' yet again for all our fans. "The response from everyone has been amazing and that's why we decided to come back and play 'Pet Sounds' for one last time. "We want to thank our fans in the UK for all their support, and look forward to playing these shows this summer, love and mercy, Brian." The 'Good Vibrations' hitmaker is extremely proud of the band's 11th album - which contains acclaimed songs such as 'Wouldn't It Be Nice' and 'God Only Knows' - and knows he could never better it. 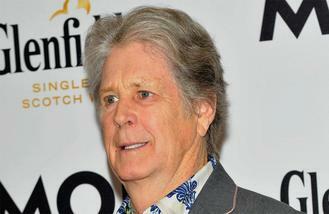 Writing in his new memoir 'I Am Brian Wilson', he said: "I love the whole Pet Sounds record. I got a full vision out of it in the studio. After that, I said to myself that I had completed the greatest album I will ever produce. "I knew it. I thought it was one of the greatest albums ever done. It was a spiritual record. When I was making it, I looked around at the musicians and the singers and I could see their halos." And Brian - who took or shared lead vocals on many of the album's tracks - is loving being on the road again. He said: "It's a thrill to perform 'Pet Sounds' because I love the album and people love the way we make it sound just like the original record. "The trips are going great. We just went to New Zealand, Australia and Japan and the people in those countries just flip for it. They love it."